Today, in particular, I am feeling a little weird. We had a all too relaxing weekend and did not do anything in particular. I guess It is just one of those days where I just feel like an awful Mom. I think the lack of sleep (and I am not complaining) causes me to be a little impatient. I hate being impatient, especially with Bailey. I am talking about small small moments but none the less I feel like a awful Mom, wife, friend, person...everything. 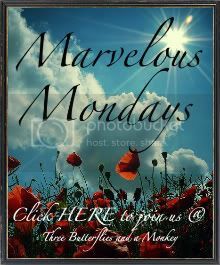 But this is Marvelous Monday, so today I am thankful, as I am everyday, for my daughter. No matter how impatient I am she just looks at me and smiles and hugs me. I mean, who in the world does this, most of the time when we are impatient as adults we look at each other like "well, she really NEEDS a NAP!"... Maybe we should be a little more patient with each other and learn to have compassion. As I feel like a bad Mom I try to tell myself that I am just having a bad day, and to shake it off, but "Mommy Guilt" is a powerful thing and starts the day you find out you are pregnant and parades on you like no other. Feeling like this to me, does not help anything, it just makes me feel worse, eats me up inside. So today and each day, I will try to remember all the happy moments, all the reasons I am a good person, a good wife, and a good Mom. I am trying. 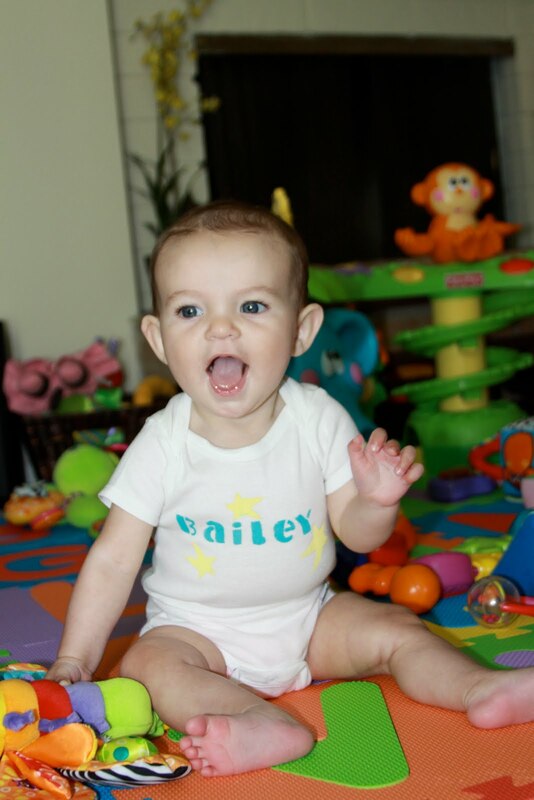 I love Bailey's smile, it really does bring me through every sleepless night and whining/ crying day. It is also what makes every single day bright. Bailey helps relieve this guilt, and I think I must be doing something small right, because when I look at this, I am amazed.